Every year in the United States, approximately 800,000 people will suffer a stroke. Strokes are the fifth leading cause of death in the US. There are two major types of stroke. The first type is an ischemic stroke, which occurs when an arterial blood clot stops blood flow to the brain. The second type is known as a hemorrhagic stroke, which occurs when a blood vessel ruptures, causing bleeding in the brain. Both types of stroke stop oxygen from reaching brain cells, which leads to brain cell death. Strokes can result in a variety of disabilities, including an inability to walk, to move specific parts of the body, to speak, and even an inability to think coherently. The degree of disability resulting from a stroke depends on many factors, the two most important of which are the location in the brain where the stroke takes place, and the number of cells destroyed. A new report published in the journal Neurology discussed recent research done at the University of Gothenburg, Sweden, which suggests that even small amounts of physical activity will lessen the likelihood of a stroke, as well as reduce its severity, should one occur. The research questioned nearly 1000 people who had had strokes, dividing them into “mild” and “severe” categories based on the extent of their disabilities. The data revealed that people who exercised even lightly, for example walking for 4 hours a week, had twice the chance of having a mild stroke versus a major stroke, compared to people who were inactive. 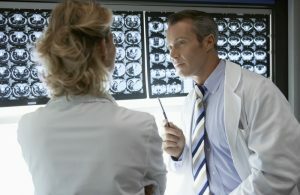 According to Dr. Sunnerhagen, the lead researcher of the study, “There is a growing body of evidence that physical activity may have a protective effect on the brain.” Dr. Sunnerhagen considers evidence so strong that he suggests physical inactivity should be considered a recognized risk factor for severe stroke. At Hamilton Grove Healthcare and Rehabilitation Center, in Hamilton, NJ, we specialize in post stroke rehabilitation, using our SMART rehab program. SMART Rehab represents an advanced concept in rehabilitative care, with superior care and comfort unparalleled in the healthcare industry. SMART Rehab creates each patient’s individualized care plan based on their personal physician’s protocol, assuring the best clinical outcomes, and partners with the physicians, maintaining regular contact and forwarding progress reports. Our experienced and professional therapists are use aggressive therapy regimens that promote rapid healing. Our SMART rehab therapy gym is equipped with the latest and best in innovative therapeutic equipment, and offers therapy 7 days a week. Our SMART rehab unit is not restricted to post stroke rehabilitation. It provides outstanding care for a full range of rehabilitative, postsurgery, and therapeutic needs, including hip or knee replacement, post-surgery recovery, complex wound care, motor vehicle trauma, and cardiac rehabilitation. Our facility also offers diabetes monitoring and care, pain management, IV Therapy, tracheotomy care, and gastrostomy care, all in a cheerful and upbeat environment.